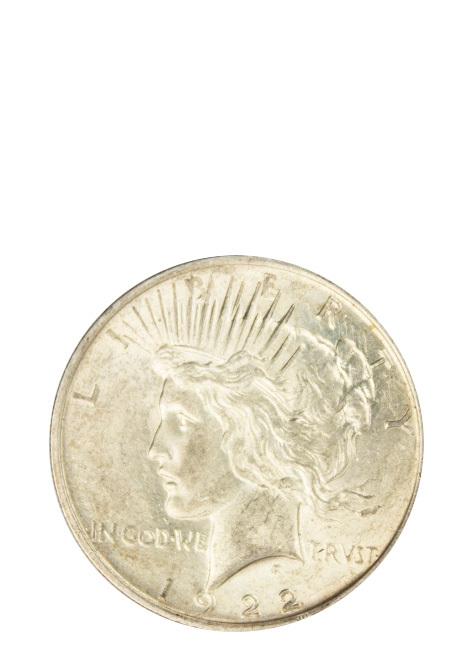 Designed by Anthony De Francisci, the Silver Peace Dollar was minted to commemorate the signing of the peace treaty between the U.S. and Germany at the end of World War I. 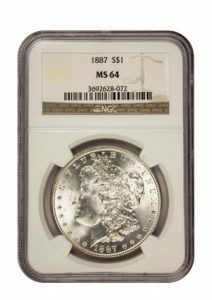 Instead of being created under a new Congressional Act, this silver coin was minted under the provisions of the Pittman Act. Peace Dollars were initially struck in high relief in 1921 were struck continuously until the Great Depression in 1929. 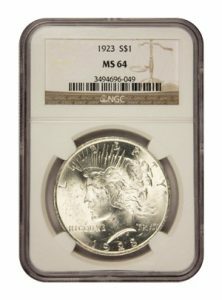 Then, in 1934, the U.S. Mint began producing the Peace Dollar again through 1935. In 1965, Peace Dollars were struck again in Denver but all were destroyed and none ever reached circulation. The obverse (front) of the coin features Anthony De Francisci’s depiction of the head of Liberty. Interestingly, De Francisci used his wife, Teresa, as a model for this personified version. The word ‘LIBERTY’ appears above her head while ‘IN GOD WE TRUST’ appears around her neck, separated between the words ‘WE’ and ‘TRUST’. The date of issue is inscribed at the bottom of the coin. The profile of a perched eagle is featured on the reverse (back) of the coin. Along the top rim lie the words ‘UNITED STATES OF AMERICA’ with ‘E PLURIBUS UNUM’ directly under them. 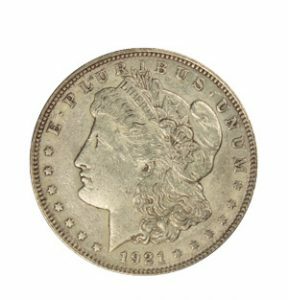 The words ‘ONE DOLLAR’ are separated by the eagle’s body with the word ‘PEACE’ at the bottom of the coin.